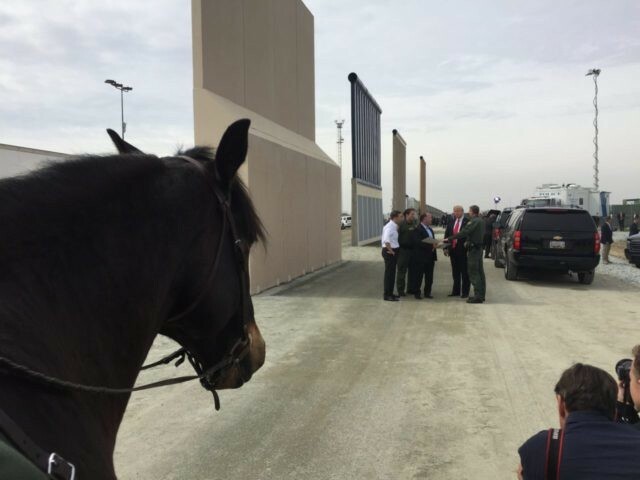 California Attorney General Xavier Becerra mocked President Donald Trump’s proposed border wall on Tuesday as the president visited the prototypes near the U.S.-Mexico border. Becerra did not note the successful examples of other countries that have built, or are building, walls and fences along their borders. In Israel, for example, security barriers have reduced illegal migration and terrorist infiltration to nearly zero. Several European, African, Asian, and even Latin American countries are using, or considering, similar barriers. Becerra has sued the Trump administration dozens of times in the past 14 months, leading California’s so-called “resistance” to the federal government. Last week, however, the state attorney general struggled to defend California’s “sanctuary state” laws after the U.S. Department of Justice sued the state in a federal court in Sacramento last week. The federal government is challenging three laws on constitutional grounds: the Immigrant Worker Protection Act (HB 450), the Inspection and Review of Facilities Housing Federal Detainees law (AB 103); and the California Values Act (SB 54). In an analysis Wednesday at the Wall Street Journal, Ilya Shapiro and Josh Blackman argue that while SB 54 would likely survive, since it merely directs state officials not to participate in federal law enforcement, the other two laws would likely be struck down, since HB 450 unconstitutionally prevents private citizens from assisting the federal government and AB 103 impermissibly asserts state oversight of federal facilities.